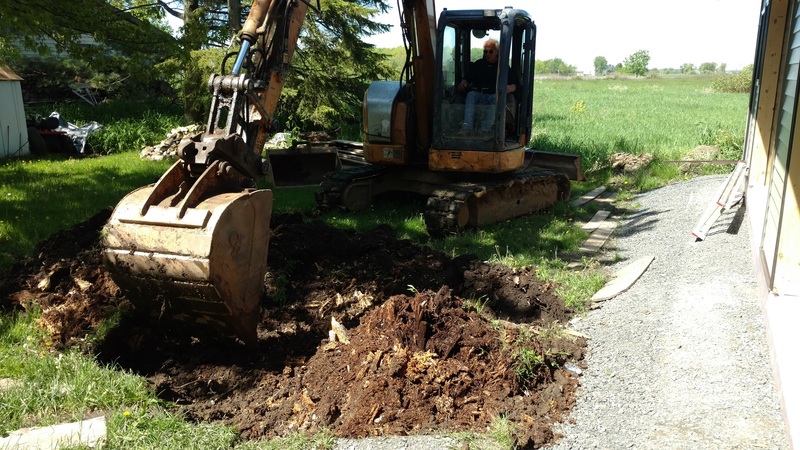 ← Volunteers Needed To Help Us Get In Our Home By Fall…..
Time is slipping by and we have been trying for several weeks to get excavation companies to come out and give us an estimate to bury 60 feet of pipe 7 feet deep for fire sprinkler system but no one would return our phone calls! God had other plans! 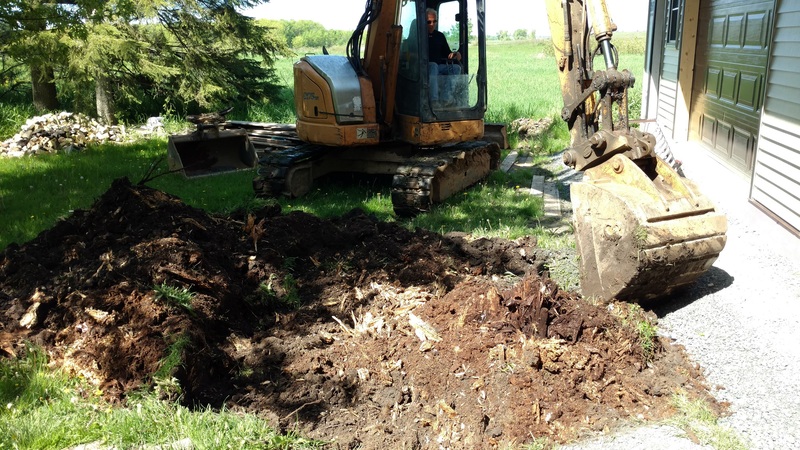 On Saturday Dennis and Melissa Krause owners of Advance Concrete & Excavating Inc. we’re hauling their excavator back to Spencer and decided to stop by to see if we needed any help! They had no idea what kind of help we needed! When they came around the back to talk to us, we had no idea who they were! 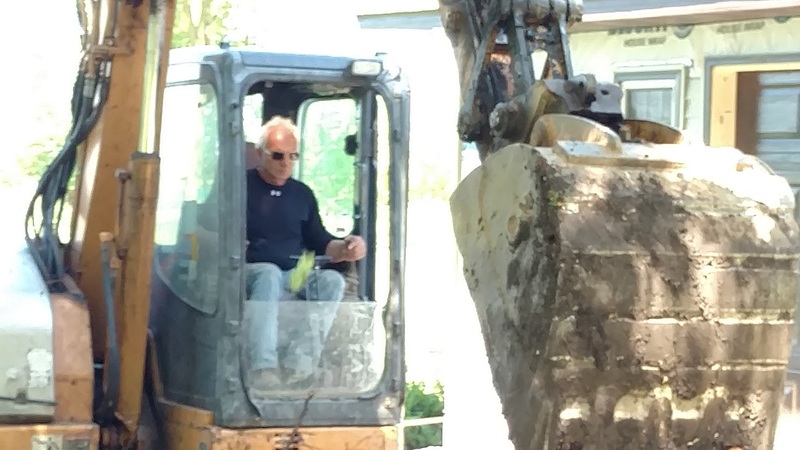 They said they wanted to volunteer, and that the excavator out front was theirs! And the Founder (Julie Worzella) looked at them in amazement and said “You are an answer to prayer!” They volunteered their time not only to lay the pipe, but to also donate and haul gravel for our driveway and around the garage, to remove the huge 100 year old tree stump in front of the garage door (which they did that day), lay a new sidewalk to the back of the house to replace the old heaved up one, and to get teams together to come help with remodeling. 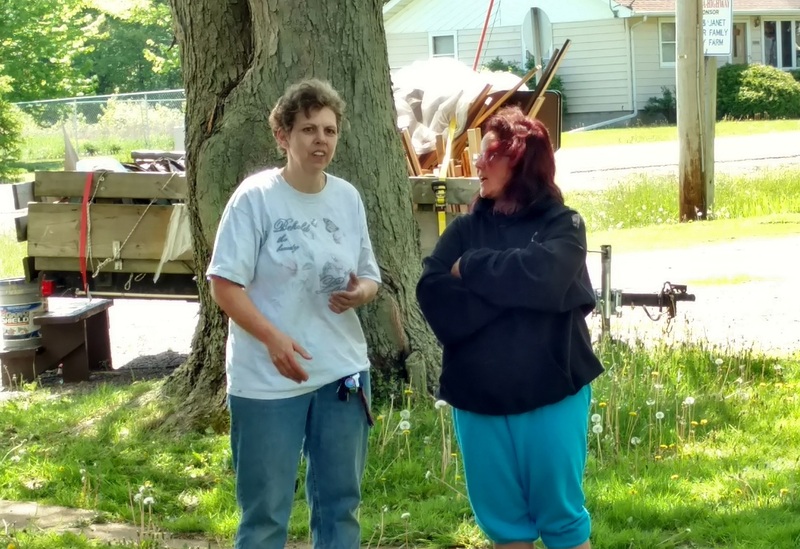 Melissa said ” we have gone by the home several time in the last 3 years and seen a lot that needed to be done, but not a lot of help to do it!” She said “that several years ago I was abused, and received life saving help at a shelter” she said this project has been going on long enough and it needs to be open!” Melissa said that Dennis and her are so thankful for the help she received so many years ago, that they want to pay it forward to the women that will reside at Destiny Point Women’s Restoration Home! This entry was posted in Addictions, Christians, construction, donations, FAITH-BASED, Fundraiser, NON-PROFIT, volunteer, Women and tagged alcohol and drug treatment, construction, donation, faith-baised, fundraising, transforming lives, volunteer, Women. Bookmark the permalink.